Rivers State Governor, Nyesom Ezenwo Wike has come out to say that the only political party he knows in Rivers state is PDP. He said the political pilferers threatening to steal from the state have all failed. 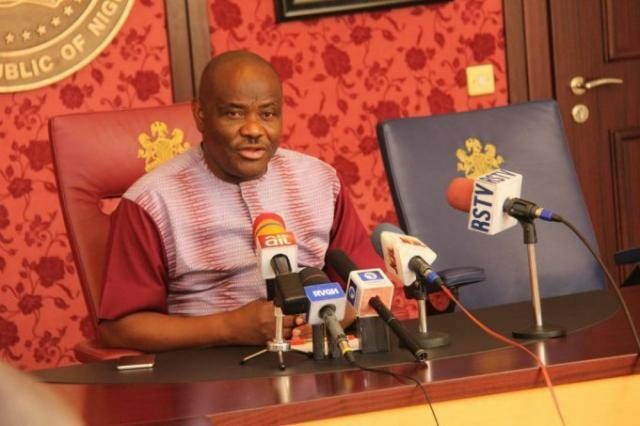 His words, “There is no other political party in Rivers State. This state is completely a PDP State. However, we must not take things for granted. After voting, ensure that you defend your votes. “The political armed robbers are angry because the banks are closed and all houses have been locked. They cannot gain entry and they cannot break-in. Since they know they cannot break-in, they are now desperate”.